Municipal Heating Foundation Eindhoven (Stichting Stadsverwarming Eindhoven) is an initiative of the working group Municipal Heating Meerhoven. This working group has been active since 2012 in the Meerhoven district of Eindhoven. 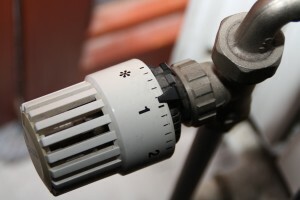 Since the same problems with municipal heating are experienced in other Eindhoven neighbourhoods, it has been decided to set up a foundation that represents the interests of all users of municipal heating in Eindhoven. The foundation was founded on December 22, 2015. By joining forces in a foundation, the legal costs can be reduced and it is prevented that residents in different neighborhoods have to reinvent the wheel. We specifically focus on Eindhoven because the situation in other cities is different. The board of the foundation consists of Stefan van der Eijk (chairman), Ruben Trieling (secretary) and Geert van Buul (treasurer). All are living in Meerhoven. Possibly the board will be expanded in the near future with residents from other neighborhoods in Eindhoven. Municipal Heating Foundation Eindhoven stands up for the interests of users of municipal heating in the municipality of Eindhoven. Users include all current / former owners, tenants, occupants and users of homes and buildings that use municipal heating as well as other persons and institutions that use municipal heating. The foundation seeks to achieve its goal by conducting (collective) actions and claiming damages both in and out of court for persons or entities as referred to above.